UpCRM Team – Offsite Celebration Time! Meet our new TeamUp member: Amandine Peltier, our Marketing&Communication Manager! Meet our new TeamUp member : Johnny Msaoubaa, our new CRM Consultant ! Up Team au Mud Day d’Amnéville 2017 ! 2015 was a great year, 2016 will be even better ! 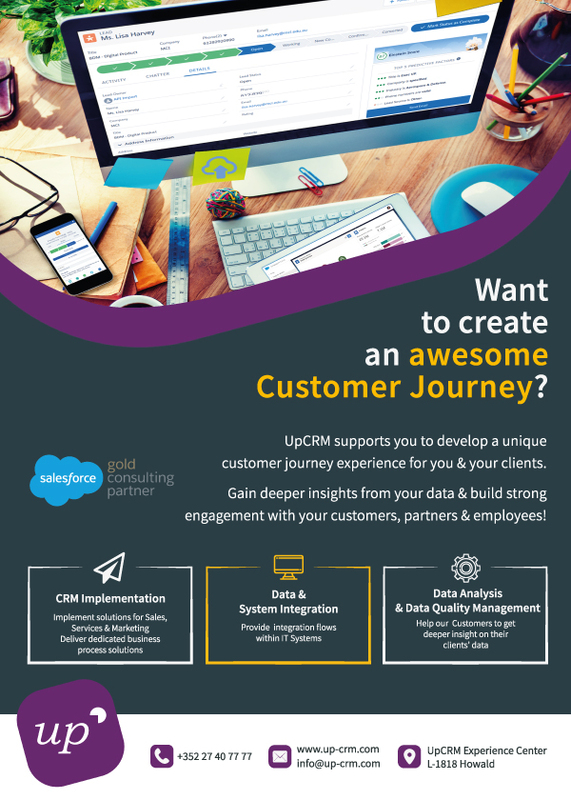 UpCRM is proud to be the first Salesforce’s Silver Partner in Luxembourg. 2015 was a great year for us and for Salesforce, we hope to be even better in 2016 !